Our team at Jefferies are always keen to do whatever they can to raise money for charity and last month they were as eager as ever. 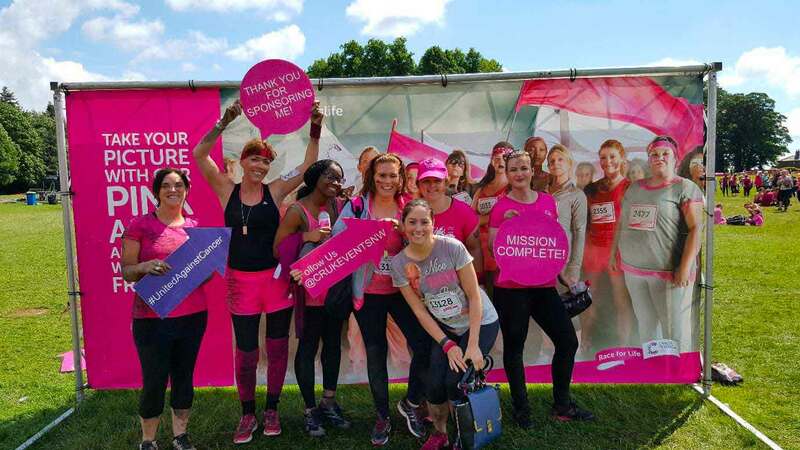 Not only did one of our solicitors conquer the Three Peaks, but a group of our staff took on Race for Life’s Pretty Muddy course, raising funds for two important causes. Earlier in the month, solicitor Michael Mawdsley took on the extremely demanding National Three Peak challenge in aid of Children’s Adventure Farm Trust (CAFT). The challenge involved Michael, along with a group of fellow hikers, climbing the UK’s highest mountains, Ben Nevis (1,344m), Snowdon (1,085m) and Scafell Pike (978m), back-to-back within a 24-hour period. 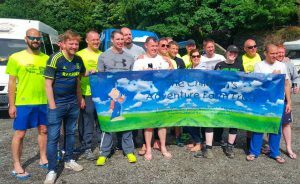 Starting in Fort William at 12pm on Saturday 11th June, the team climbed 10,000ft in total and travelled 450 miles before descending from the summit of Snowdon on the morning of Sunday 12th June. Michael completed the test of endurance in 22 hours 50 minutes and raised £1,000 for a very worthy cause. On Saturday 25th June, eight enthusiastic members of the Jefferies team took part in Pretty Muddy at Tatton Park. Following the success of last year, when the firm raised £3,500, the group tackled the 5km muddy obstacle course in an effort to raise money for Cancer Research. 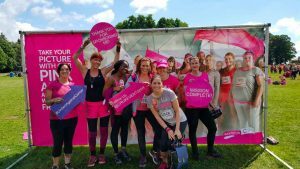 They joined thousands of other women from across the region and made their way around the course which involved going down inflatable slides, crawling through tunnels and wading through mud pools. Despite the mud, the day was thoroughly enjoyed by everyone who took part. So far, the group has raised almost £350 for Cancer Research, but the total sponsorship continues to grow! Team Jefferies consisted of Nina Ramsden, Joanne Waring, Ebony Elliott, Danielle O’Connor, Nicola Wade, Deborah Adams, Adela Royle, Paula Tanner and Gill Parker. Published on 5th July 2016.